The Little Acorns Sleigh Crib features classic curves and contours, is traditional in design and will fit seamlessly with any nursery decor. With fixed sides and a fixed mattress height, the Sleigh Crib ensures safety and security as your little one sleeps. Thanks to the ‘cot-like design’, the Sleigh Crib will also aid the transition when it is time for baby to move to a traditional (larger) cot. 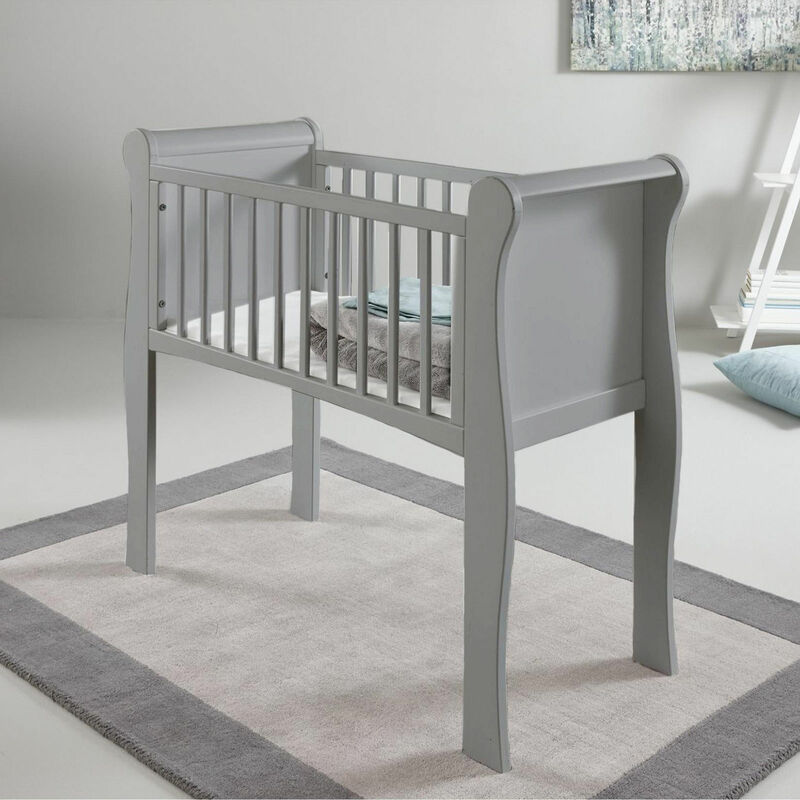 This cute little crib is suitable for up to 6 months or until baby can push up on their hands or knees, roll over or sit up unaided - which ever comes first. Mattress is sold separately. Suitable from birth until child can push up on their hands or knees, roll over or sit up unaided - which ever comes first.